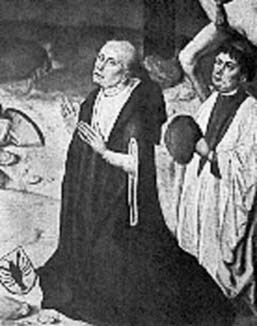 Nicholas of Cusa was born 1401 in Kues, Trier (now Germany). Nicholas of Cusa was a German philosopher and bishop. He was interested in geometry and logic as well as in philosophy and astronomy. Nicholas of Cusa died on 11 August 1464 in Todi, Papal States (now Italy).